The Culling’s The Big House update is now available. The latest update brings many new features while addressing known issues. 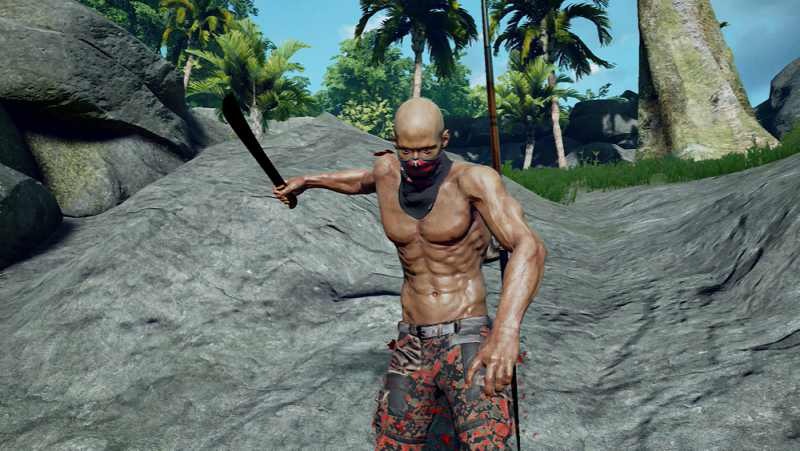 Also, the company has announced that they are bringing The Culling to Xbox One Game Preview Program in the first half of 2017. Meanwhile, Servers will be down on Wednesday, January 18th from 8 AM EST for up to four hours. Contestants all queue together and get a random chance at all modes and maps. Pre-made teams are guaranteed to be placed in teams matches. Shake & Bake: The sun is gonna get hot! Hide inside or you will take damage! Gold Rush: A free Golden Crowbar will spawn in a central holo-spawner. It opens a golden crate that spawns in the middle. The crate contains a Chainsaw which, has been retuned for maximum fear and loathing. Drop Your Bridges: Want to call in your airdrop for free? Head to the bridge pads before other players get there. But be careful, hitting the bridge voids their warranty! Culling Crates: As you level-up you will earn crates. Open them for cool prizes! Currency System: Didn’t get something you want? Many items can be purchased directly by using currency earned through opening crates. Weapon Skins: Customize the look of any airdrop/holo-spawner weapon you call in. Players will envy you as you stab them to death. If they kill you and steal your pretty weapon you have nobody to blame but yourself! Culling Cards: Unlockable banners to show your dead opponents your personal flair. Be warned: some include potty humor. Taunts: Get in your enemy’s head with the new taunts. Just don’t let them kill you while you show off your moves. Victory Celebrations: Won a match? All eyes are on you as you dance on the victory podium. Over 1,500 unlockable items in total! Player XP: As you play matches you earn experience. The better you play the more you earn. Player Leveling: When you get enough experience you gain a new level. Every level earns a new crate for some phat lewt! There is no limit to how many levels you can earn. Try to reach infinity! Blocking a melee attack imparts a weakness wound on the attacker. The wound lasts for 3 seconds, reduces damage dealt by 50% and reduces block effectiveness by 50%. Players who have the weakness wound cannot apply it to others. Dev comments: This solution finds a nice middle ground between pre-December 2016 combat and the “no-stagger” patch. We’ve retained the smooth, fast-paced feel of the December patch, but raised the skill ceiling to encourage competitive play amongst veteran players. Performance Optimizations: We have updated to a newer version of our game engine and optimized many aspects of the game. Our min-spec machines are able to run the game at higher graphics settings with improved frame rate and high-end machines are showing major improvements as well. Dev comments: Trapping is an important aspect of The Culling and the option to disable shadows gave an unfair gameplay advantage, not to mention making the game look unappealing. We have worked hard to ensure that our min spec machines can still offer solid playable performance with shadows enabled. We have also improved the look of the “low” shadows setting. Dev comments: Players have learned to utilize mobility in combat to maximize their chances. While mobility is important, we want melee combat to focus more on skillfully choosing when to attack, block, or shove. Dev comments: A well-timed Angry Octopus proc or Smoke Bomb was more likely than not to turn the tide of a fight. We reduced the length of the blindness wound previously, but the wound remained extremely powerful, so we’re taking the gloves off. Dev comments: This long-standing issue became more prevalent with the last combat patch, especially in teams mode. Players can no longer interrupt the mobility of their opponents through melee attacks. Dev comments: These bludgeons had their damage initially set based on the assumption that their one-star speed rating would limit their effectiveness. We’ve reduced the damage of these bludgeons to help them fit better within their assigned tier. Dev comments: With the addition of several new weapons it was time to shuffle tiers. There are now two Tier 3 weapons of each type and Tiers 1 and 2 have more even distribution across weapon types. Dev comments: Who doesn’t like carrying more arrows? Dev comments: With the introduction of Steel Punji Sticks we found that the time between damage application needed to be increased due to the amount of damage these traps are capable of inflicting. Dev comments: Combatants rejoice! Whether it be a melee strike or a throw, proper aiming is important and we determined that it was unfair that some players were resorting to 3rd-party methods to display crosshairs. Dev comments: The previous block angle was somewhat unforgiving and led to situations where players’ block would not work but looked like it should have. This change should eliminate those cases. Dev comments: The recent combat changes coupled with the disproportionate damage the Steel Pipe and Pipe Wrench were capable of made Basher was an incredibly powerful perk. We’ve toned it down to be more reasonable. Dev comments: In an effort to help players understand what’s happening during combat (including the effects of the weakness wound), we’re experimenting with displaying the damage you’ve dealt another player in your HUD. This is a prototype implementation and will receive a polish pass somewhere down the road. Dev comments: These were removed from Green Crates but were not added into other spawners, which effectively removed them from the game. They are back!